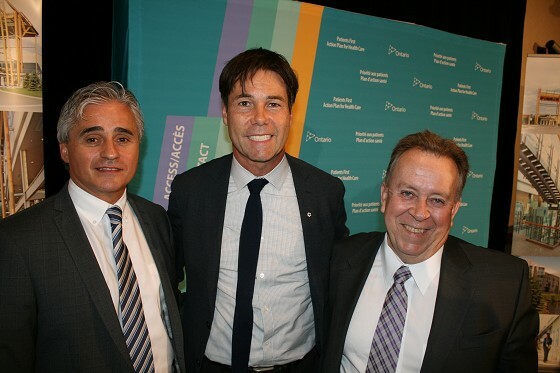 Ontario is supporting a proposal to improve access to cardiovascular services for patients in northwestern Ontario. home for patients in the northwest. TBRHSC will work in partnership with the University Health Network (UHN), which will take on cardiovascular patients from northwestern Ontario who are currently being served in Hamilton until services are fully implemented at TBRHSC. Providing the residents of northwestern Ontario with better access to cardiovascular services is part of the government’s plan to build a better Ontario through its Patients First: Action Plan for Health Care, which is providing patients with faster access to the right care, better home and community care, the information they need to live healthy and a health care system that’s sustainable for generations to come. — Dr. Barry Rubin, Program Medical Director, Peter Munk Cardiac Centre. Approximately 350 patients a year are referred out of the northwestern region for vascular surgery and vascular related procedures. a well thought out manner.This is an natural extension of the other quality of services here.